Commercial and Industry leaders are all working to make the world a better place, and often they want to include rebuilding or conserving native ecosystems as a part of that. Their projects include many elements, from the soils to the landscapes, from plants to people, and everything in between. Understanding what is needed to maximize the quality of ecosystems impacted by a project requires careful thought from planning to project inception, to long-term project impact assessment and ecosystem care. Contact us and we will quote you for the whole project, or just the plants and delivery! 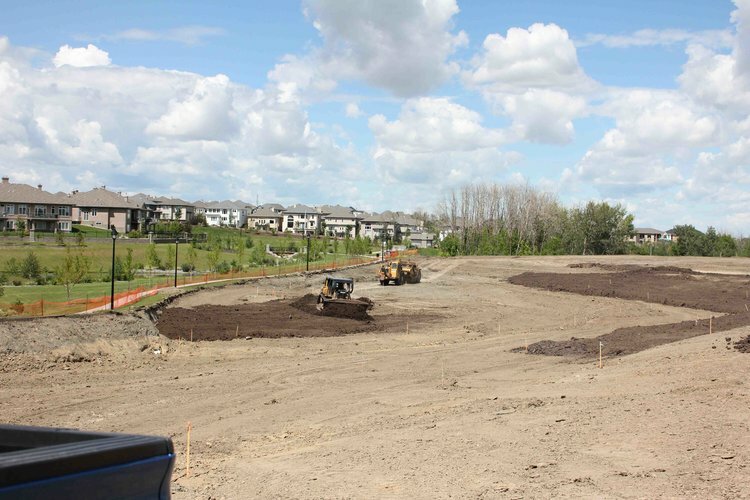 This is the first native ecosystem Storm Water Management Facility in Alberta, and CES is proud to of rebuilt the entire area from the soils up. This project includes over 100 species in wetlands, forests and grasslands. Over the last 8 years, Larch Park has thrived! It now provides high levels of ecosystem services for Edmontonians such as water filtration, pollutant removal, and it's a wildlife habitat. Moose and even blue heron, have all been spotted in the area. Read more about this project, or download this PDF. For more information about this project, download this PDF. 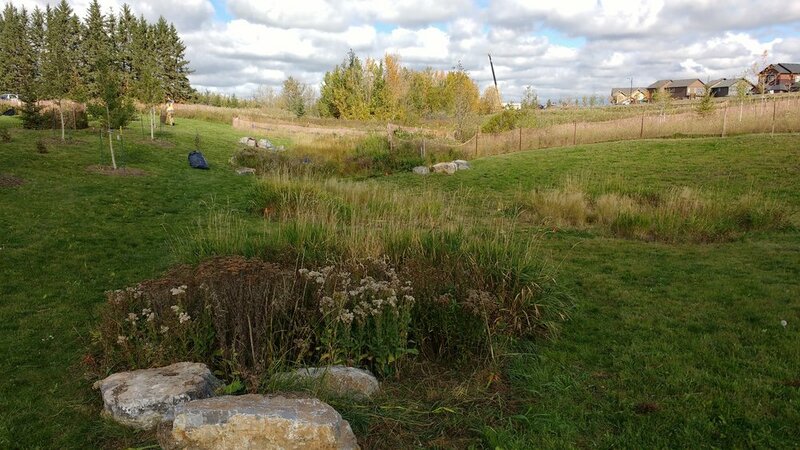 The Aurora storm water management facility (SWMF) is based off the Larch Park SWMF experience, incorporating rebuilding native vegetation communities that could be mowed, as well as the wetland, and wild grassland and forest understory.